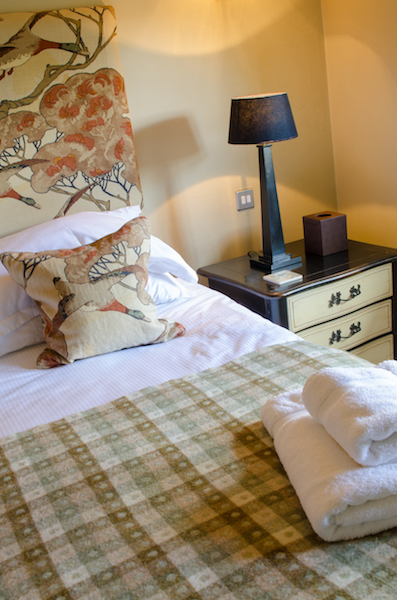 A Super Comfy room, Cockly Moss is a lovely double bedroom with king size (6 ft) bed and views over the Terrace and gardens. It is complimented with a contemporary en-suite bathroom. Woof! I’m a dog friendly room!